It seems the political rift between the former governor and the present governor of Kano state has taken another shape. .. 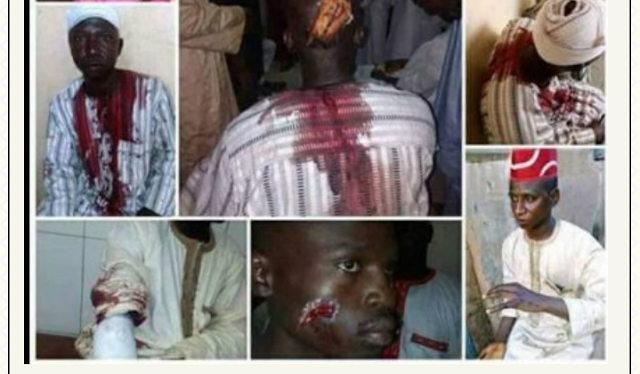 Here are some of the photos from recent bloody clash between supporters of former governor of Kano State, Senator Rabiu Musa Kwankwaso and his successor, Governor Umar Ganduje, in Kano state during the Sallah celebration. The injured were rushed to the hospital and are currently being treated. Kwankwaso has been at loggerheads with his successor, Umar Ganduje. In March last year, the leadership of the APC in Kano chapter had initiated moves to suspend him over what it termed anti-party activities.